New York, NY – On the eve of his new release, dance hall legend Sizzla announces national tour dates. His new album, The Overstanding, is scheduled to be released on November 21st, 2006. The Overstanding will be marketed and distributed by DDMG / Kalonji Records. Sizzla emerged during the latter half of the ’90s, and quickly became one of the leaders of the modern dancehall movement. Along with Buju Banton and Capleton, he helped lead dancehall back to the musical and spiritual influence of roots reggae, favoring organic productions and heavily Rastafarian subject matter. Sizzla’s first success came with the release of Praise Ye Jah in 1997. Widely considered one of the top modern dancehall albums of its time, Praise Ye Jah was quickly trumped by the release of Black Woman & Child that same year. The title track was a smash hit and became something of a cultural reggae anthem. 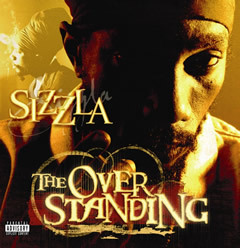 Sizzla continued to release a string of successful albums including Be I Strong in 1999, the spiritually driven, hip-hop influenced Bobo Ashanti in 2001, and Da Real Thing in 2002, where he concentrated on softer, mellower, more romantic material. With a catalogue of over 40 albums to his credit, Sizzla remains one of the most if not the most widely respected figures in all of dancehall reggae. The Overstanding hits stores on November 21st, 2006.